Trade paperback 5.5? x 8.5? 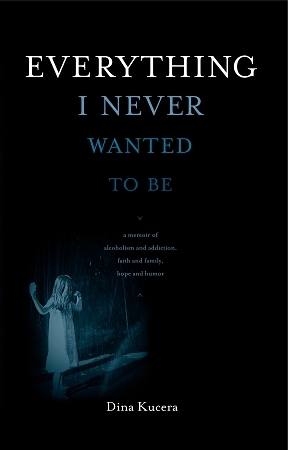 Everything I Never Wanted to Be by Dina Kucera is the true story of a family’s battle with alcoholism and drug addiction. Dina’s grandfather and father were alcoholics. Her grandmother was a pill addict. Dina is an alcoholic and pill addict, and all three of her daughters struggle with alcohol and drug addiction—including her youngest daughter, who started using heroin at age fourteen. Dina’s household also includes her husband and his unemployed identical twin; a mother who has Parkinson’s Disease; a grandson who has cerebral palsy; and other people who drift in and out of the household depending on their employment situation or rehab status. On top of all that, Dina is trying to make it as a stand-up comic and author so she can quit her crummy job as a grocery store clerk. Through it all, Dina does her best to hold her family together, keep her faith, and maintain her sense of humor. As you might imagine, a story filled with alcoholics and drug addicts includes a number of horrific events. But in the end, Everything I Never Wanted to Be is an uplifting story that contains valuable lessons for parents and teens alike, and a strong message about the need to address the epidemic of teen drug addiction in our nation. It’s a book that can change behavior and save lives—and make you laugh along the way. 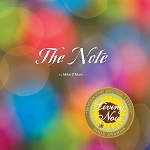 “So absolutely over the top that it makes readers laugh out loud and thank God it is not them.” - San Francisco Book Review, March 2011. Dina Kucera was born and raised in Albuquerque, New Mexico. After completing a project to collect and identify fifty insects, she graduated from the ninth grade and left school for good. It seemed like a good idea at the time. Her first job was a paper route, and she has worked as a maid, bartender, waitress, and grocery store checker. She recently left her job as a checker to become a writer. She has also been a stand-up comic for twenty years, for which she receives payment ranging from a small amount of money to a very, very small amount of money. When it comes to awards and recognition, she was once nominated for a Girl Scout sugar cookie award, but she never actually received the award because her father decided to stop at a bar instead of going to the award ceremony. Dina waited on the curb outside the bar, repeatedly saying to panhandlers, “Sorry. I don’t have any money. I’m seven.” Dina is married with three daughters, one stepson, and one grandson. She currently lives in Phoenix, Arizona.